The 562B-1 is a compact and high 4-section aluminum fluid monopod equipped with a 357PLV sliding camera plate adapter to adjust the camera's center of balance. 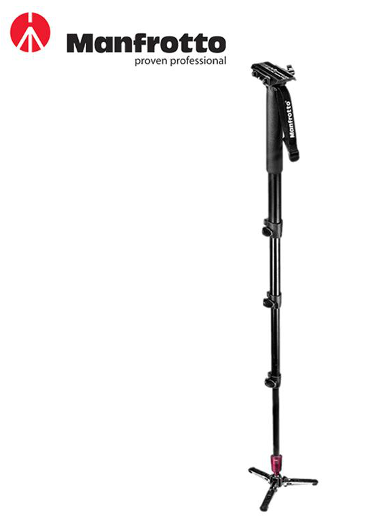 This fluid monopod is ideal for camcorders up 17.6lb. Technical Specifications: 1/4" and 3/8" attachment; type 1/4" and 3/8" attachment type; closed length 27.17 in; 4 leg sections; load capacity 17.64 lbs; material aluminum; maximum height 75.98 in; minimum height 27.17 in; plate type 357PLV; weight 3.15 lbs. This replaces the Manfrotto 562B.